C06 Mini Bluetooth Outdoor Bicycle Sport Portable Speaker For iPhone, Samsung, HTC, Sony, LG, HUAWEI, ZTE, OPPO, and so on. 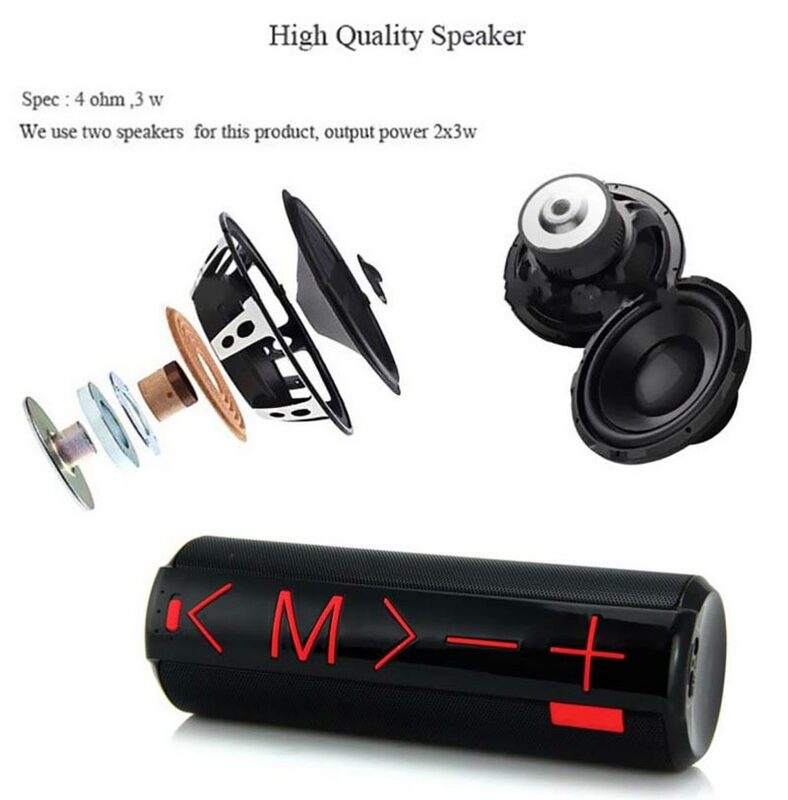 YM-C06 is a new designed portable wireless mini bluetooth portable speaker, it can deliver full, natural sound from an ultra-compact speaker that fits in the palm of your hand. It connects wirelessly to your mobilephone, tablet or other Bluetooth device, so you can listen to your music, videos or games anytime, anywhere. Just grab it and go. As normally, this speaker has a range of about 30 feet. So you can enjoy the sound you want wirelessly. It pairs easily with your smartphone, iPad or other Bluetooth devices. And it remembers the last bluetooth device you&apos;ve used, so reconnecting is very easier. You might not expect sound this rich from a speaker this small, but this protable Bluetooth speaker is something new. You don&apos;t have to sacrifice performance for portability. Proprietary technologies and an innovative driver configuration combine to deliver full-range sound—-including deep lows-—in an ultra-compact package. It lets you take your music to places it&apos;s never been before.